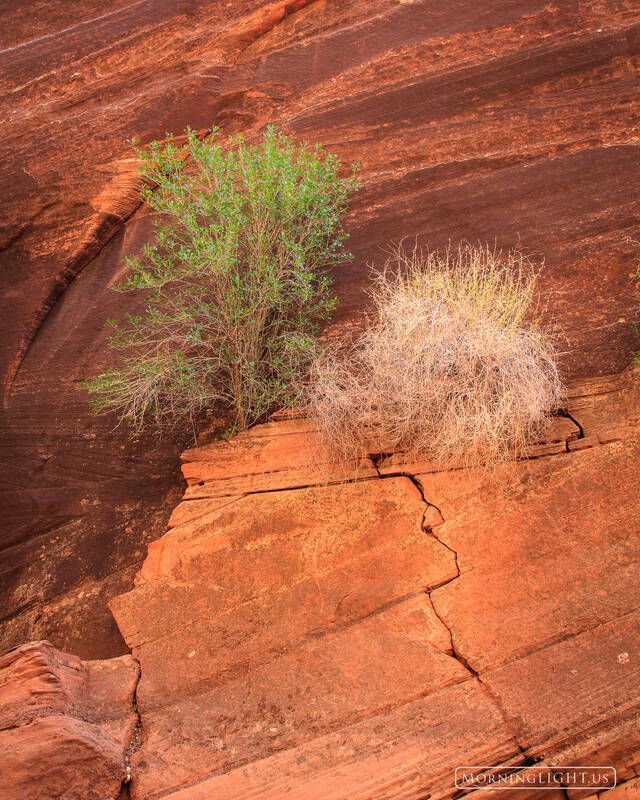 These two bushes perched on a ledge in Buckskin Gulch seemed to be placed here waiting to be photographed. The gentle afternoon light in the canyon was perfect for capturing their portrait. Photo © copyright by Erik Stensland.